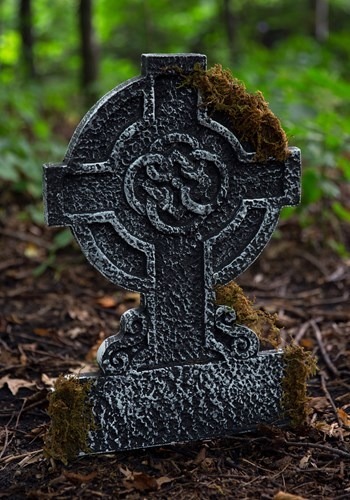 Mossy Celtic Cross Tombstone By: Amscan for the 2015 Costume season. We don't recommend burying dead bodies in your yard for Halloween, just so you can put one of these fake tombstones on your lawn. Just plant it in your yard and no one will be the wiser.